Experience amazing at Dubai's newest attraction - Dubai Parks and Resorts - where East and West meet to form the greatest show on Earth! With three individual theme parks and one waterpark, this is the largest integrated entertainment destination in the region - covering 25 million square feet for pure entertainment pleasure. Experience the movies at MOTIONGATE™ Dubai, dance like no-one's watching at BOLLYWOOD PARKS™ Dubai, be amazed by LEGOLAND® Dubai and splash out at LEGOLAND® Water Park. ©2017 The LEGO Group. 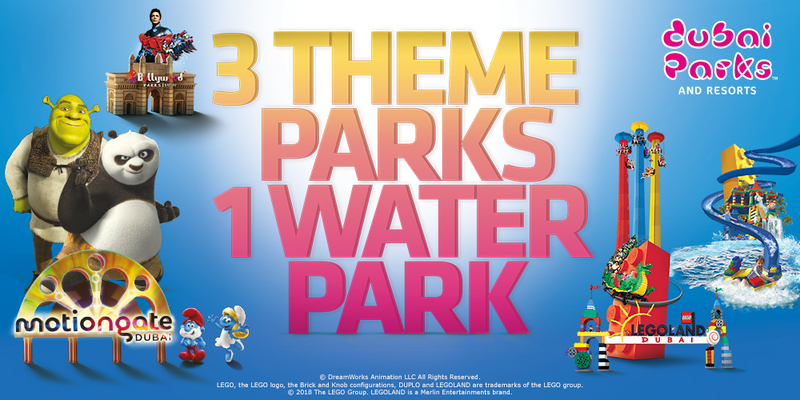 LEGOLAND is a Merlin Entertainments brand.